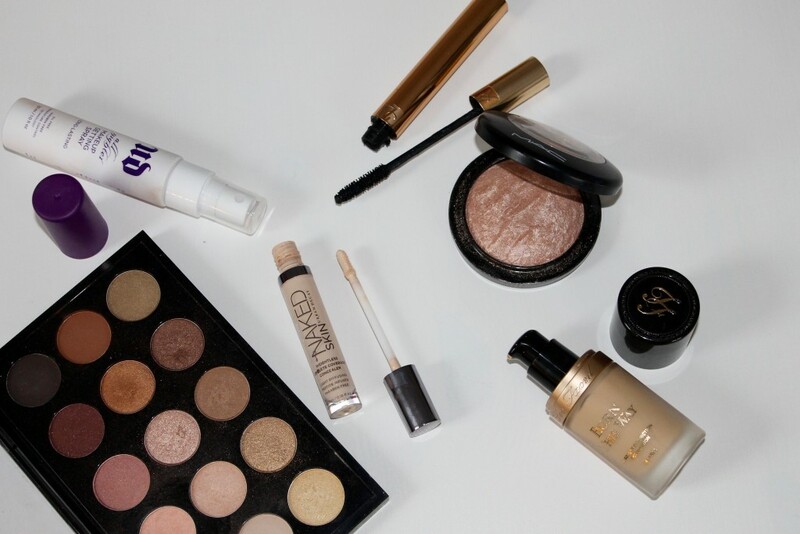 Although I mentioned in my 2015 Drugstore Favourites that I was loving everything from the drugstore, I still have those few bits that I swoon over every time I lift them out of my draw. Sometimes you do need that extra luxurious product in your life to make you feel like a real life princess on those days you just don’t quite feel you. Or for special occasions when you want to make a change to impress someone. And there has daintily been some from 2015 that I have loved and no doubly will be working their way though 2016 with me. 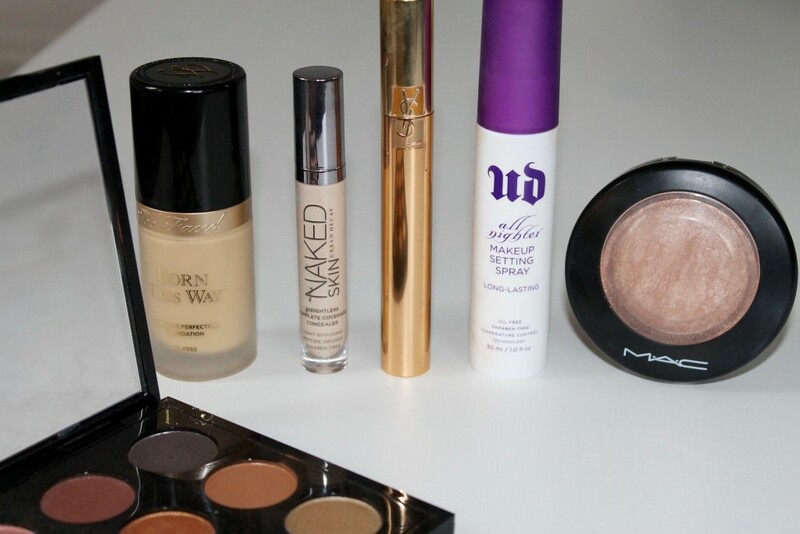 When it comes to everyday make-up with me I seem to stick with the same thing day in day out so I find it pretty hard to play around with more high-end beauty’s that I maybe would if I changed it up day-to-day. But who knows what 2016 may bring! The first little beauty is something I discovered mid 2015, after hunting for a new foundation and hearing the hype over the Too Faced Born This Way, I jumped on the bandwagon. I’m not a one who immediately runs to the shop and buys the latest discovery because I am just too worried about spending money on something that I just don’t like. I read and read and wait until somebody who sounds like they have skin like mine tells me I must buy it. And that is what I did. First lets admire the beautiful packaging, one thing I do love about high-end foundation it the time and effort put into the packaging. The beautiful gold writing and the bold black lid, how much detail can we go into over the bottle of foundation. 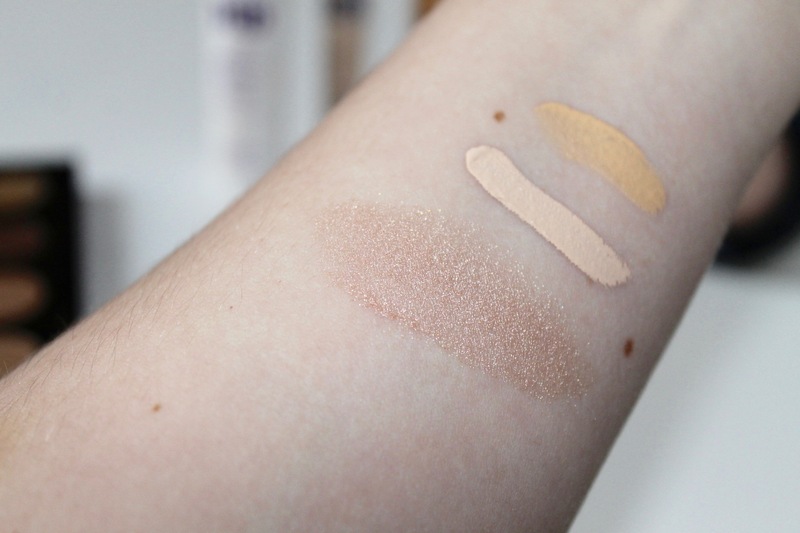 The product itself though is amazing, it is a little more dewy than what I would normally go for but the coverage and durability is insane. If I ever run out of this (You really don’t need much for a full face) I will be running to the shop to buy a new one. Mac’s Mineralise SkinFinish in Soft and Gentle made its debut a year or two ago but I have only just found my love for it in 2015. There is something about it shiny, soft, glow that just draws me in. At first I didn’t really get on with it, I felt it didn’t really show up much on my skin and thought I had better products that where just not getting the love they should be. One day I decided to give it another go and received so many compliments on how amazing my skin looked and the only thing I used differently was that. From then on I have used it pretty much everyday. It’s not too harsh but gives just the right amount, I apply this on the top of my cheeks bones, across the top of my lip and down the nose. 100% a keeper from me. 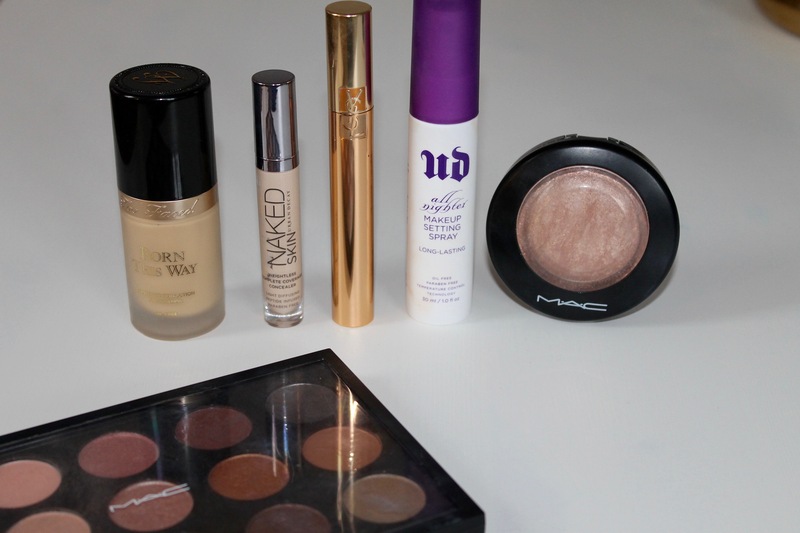 Another Mac product was something I actually got at the start of 2015 and again it sat in my draw with no love shown. 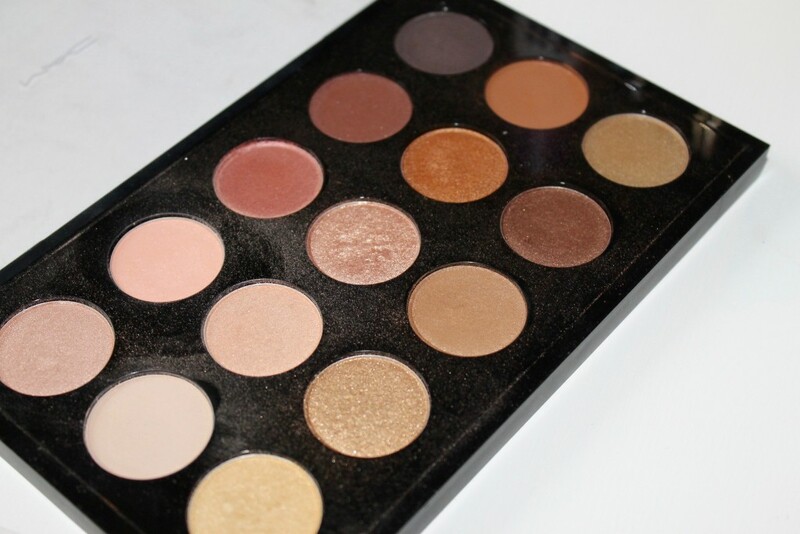 The Eye Shadow Palette in Warm Neutral which contains 15 eye shadows, obviously all warm neutrals. I use this everyday now as it has so many shades that I can mix up between and create so many different looks. However it is me we are talking about here, of course I have four shades that I pretty much go to each time. The first being Brule which is an almost off white shade, I use this in the inner corner of my eye as a soft highlighter. Then there is Gingersnap which much like its name is a warm reddy/brown shade, I love this all over the lid. Then there are two brown shades, one slightly lighter in the shade ButterFudge and the other darker more shimmer shade Divine Decadence. 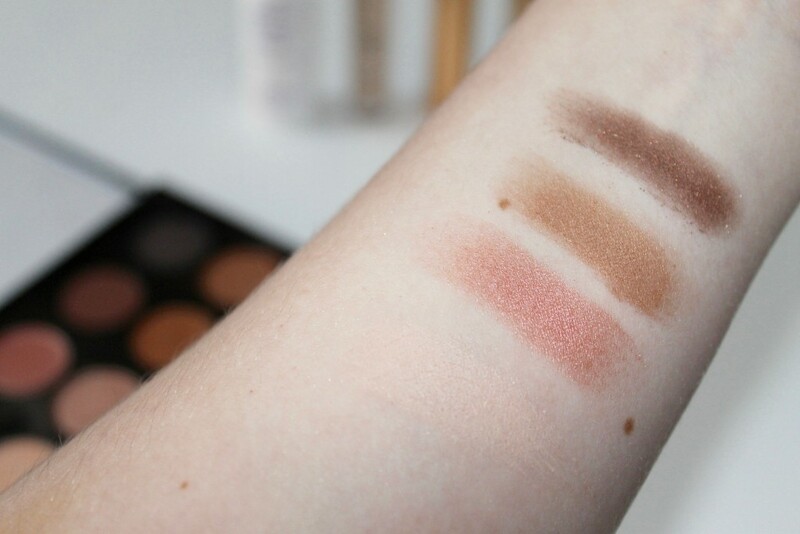 I never thought I was a warm shade kind of person but since using this I love them and feel I can get a little more daring with my day-to-day eyeshadow as the colours are pretty safe. Whilst we are on the topic of eyes, the mascara of the 2015 for me has to be YSL Volume Effects. I have had a few different YSL massacres so far and by far this one if my favourite. It gives amazing length and volume all at once. Let me tell you the smell of YSL mascaras is something else, if you have never smelt one it is worth spending the money just for the smell. Go buy it now!  The Urban Decay Naked Skin Conceler is another product that has been floating around the internet a lot. As I said I waited until I found the perfect review then on I went and bought it. I have never looked back since the day I bought this little beauty. I use this for concealing and brightening my under eyes. I find that this is one of my issues with my skin not so much under eye circles but more the pigmentation. This concealer hides all that nastiness underneath and I can head out the house feeling $1000. Well who are we kidding, but seriously it is insane. The last one is coincidental the last thing I do when it comes to my make-up and another Urban Decay product. The All Nighter Setting Spray, I used this for the first half of the year then ran out and just never found the time to repurchase it. I could totally see a difference in my skin so was super pleased when little old mother bear bought me another for christmas. I literally spray around 3-5 pumps over my face and my make-up stays put all day. One thing I was worried with a setting spray was, a) would it make me look even more oily and b) will it actually make my make-up stay put or slide off my face. Both of these things where wrong, it literally keeps my make-up on all day with no worries. I know I will have a good day if I have sprayed this on in the morning.